Well, I did it. I ordered a gadget that is going to have most of you scratching your heads, but hear me out. The AlphaSmart 3000 is a devoted word processor with 700 hours of battery life and no internet access. 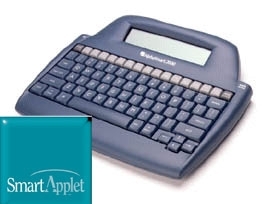 AlphaSmart word processors had their hey day in the early 2000's, and are still popular for use in academic settings (particularly with younger children and special needs students). 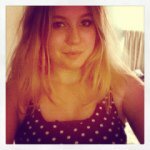 Of course, the distraction-free environment the AlphaSmart word processors offer is rapidly attracting writers even today. Suffice it to say that within eight hours of seeing and hearing about it, I ordered a AlphaSmart 3000 from eBay for $29.95. I'm stoked to try it out! Of course, I now realize that purchasing the new-and-improved NEO would have been wise given its sleek black look and improved features. Although I'm sure the AS3K will be just fine, I might order a NEO and loan out the AS3K at the NaNoWriMo write-ins I'll be leading in November!